The announcement is here. It's due out in the 3rd quarter, later this year. More on that later. FFG also announced a new adventure for Edge of the Empire called Mask of the Pirate Queen. The author is Gary Astleford, who previously wrote for Star Wars Saga Edition products, as well as FFG and other work. For X-Wing, there is a preview of the heavy hitting TIE Punisher. Beyond the games, Star Wars announcements just keep rolling along. I'm sure everyone has heard about the Han Solo anthology movie. I'm looking forward to it. Also today, Starwars.com announced the release of the new Star Wars app for Android and IOS. It's not a small app, so I finally managed to download it tonight. It looks great, and there are some fun bits to it. I can't seem to use half of the features because it says the network is jammed, but hopefully that will be sorted out soon. The selfie shots are fun. I had hoped the soundboard would have more variety so it might be usable at the gaming table, but the selection of sounds isn't broad enough yet. 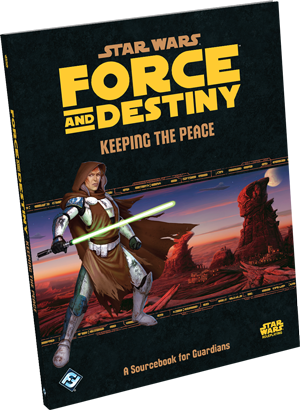 As for the upcoming conventions, I'm running Edge of the Empire and Force and Destiny sessions at Kantcon later this month, along with Savage Worlds The Last Parsec. Kansas City Comic Con has posted their gaming schedule and opened up event submission and registration. Mine are not listed yet, but should be in the near future.